The launch was a HUGE success! From being one of only 2,000 products to be chosen out of 60,000 products, the Firemizer team were so proud (and still are!). From the initial stage of telling our story, to being chosen, to working closely with The Grommet in readiness for the launch was a new experience for us but it will be one we will never forget! 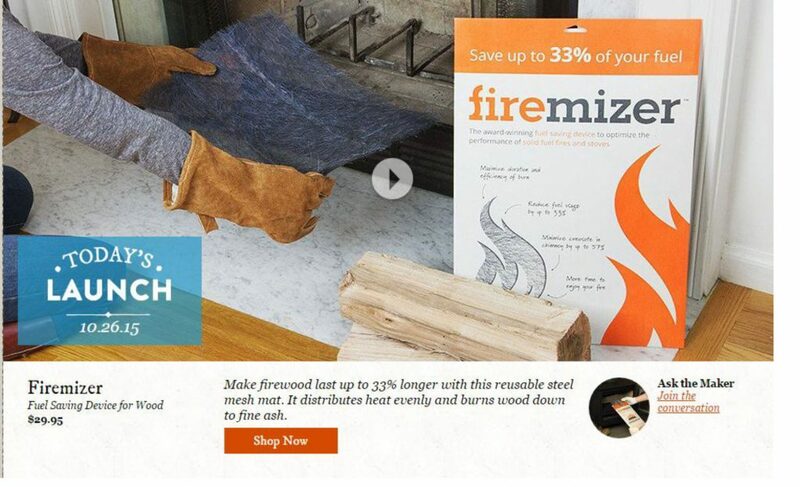 Hundreds of Firemizers were purchased on the day of the launch and we are just so happy that people can now enjoy a longer fire and all the benefits Firemizer has to offer.